Early in the year, companies remain interested in clean energy investments. After Trump signed his "big, beautiful tax cut” into law, traditional equity investors found themselves in a moment of reset. U.S. companies and multinationals have spent the first month of the year running the numbers and assessing their options. Although certainty in the market has waned, interest in direct project investment has not, according to two firms that work with investors. Much of the conversation in clean energy circles about the tax bill’s passage has revolved around a potential shrinking of the tax equity market -- which accounts for between 40 percent and 60 percent of finance for individual solar and wind projects -- because of the reduction in value of renewables credits. A month into the new tax scheme, industry watchers are still quantifying how much the new law will impact clean energy investments. There is agreement that the market will see at least some contraction. Jeff Waller, principal in the Rocky Mountain Institute’s sustainable finance practice, said regulatory uncertainty stemming from the complex and convoluted process of crafting the tax bill may well have “spooked” newer entrants to the market. But previous to the law’s passage, RMI had noted a bump in the number of companies investigating new investment roles. According to Steve Vavrik, chief commercial officer at Apex Clean Energy, that “heavy interest” has spilled into 2018. The reasons for increased interest are varied. Mohr said corporate science-based targets “have really gripped the market and gripped a lot of our clients” in the last couple years. WSP is now working with about half a dozen corporate buyers on large-scale renewable energy investment, with several ramping up exploration this year. Mohr attributes much of that interest to growing business understanding of climate risk, carbon goals and the lack of federal leadership on the Paris climate agreement. “I think it would be impossible to uncouple those things,” he said. That openness complements a greater shift in a maturing market. 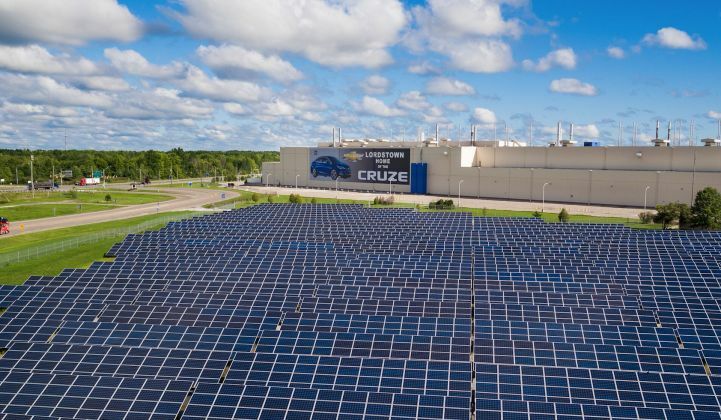 “We’re seeing the market overall broaden in terms of the products [companies] are looking for and the approach they’re bringing to the table,” said Erik Haug, a business development senior associate at Apex Clean Energy who negotiates clean energy power-purchase agreements. While tax equity players have offered cautious encouragement over the sustained health of the market post-tax reform, many still expect financing to tighten. Mohr said the new conditions could squeeze out smaller players, while bigger investors likely won't invest more than previous years. He said that a growing number of nontraditional investors are looking into direct investment, with help from tools like the RMI Business Renewables Center, which will streamline the process and encourage more involvement. For Waller, it’s still too early to fully assess the impacts of tax reform. He said market diversification is encouraging.